TURN YOUR ONLINE LEADS INTO AUTOMATIC PHONE CALLS! Choose 1 of 2 options below to get started. The GAMECHANGER could be the difference between you or your competition. Is it really worth not having? Your initial charge will be $0. Then in 10 days you will then be charged $597/month until cancellation. 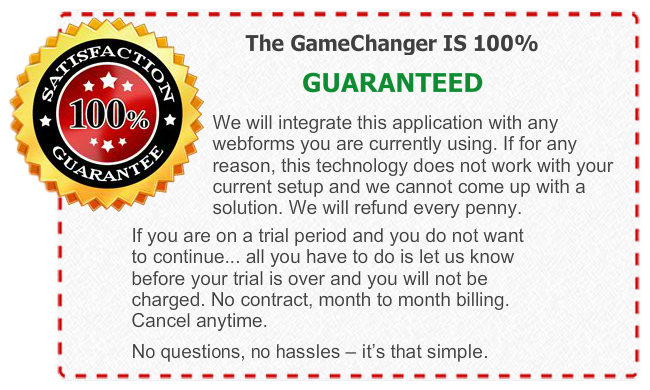 You will instantly be charged $298.50/month until cancellation. 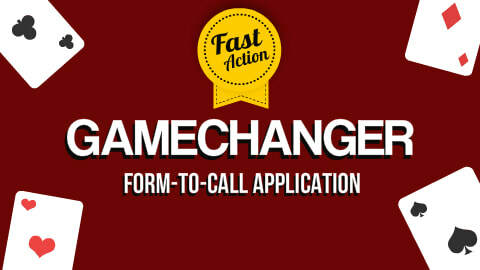 Once payment is collected, we will be in contact to integrate the Game Changer into your web properties. We have allotted a 3 day grace period to get things setup and ready to go for you to harness the power of The Game Changer!